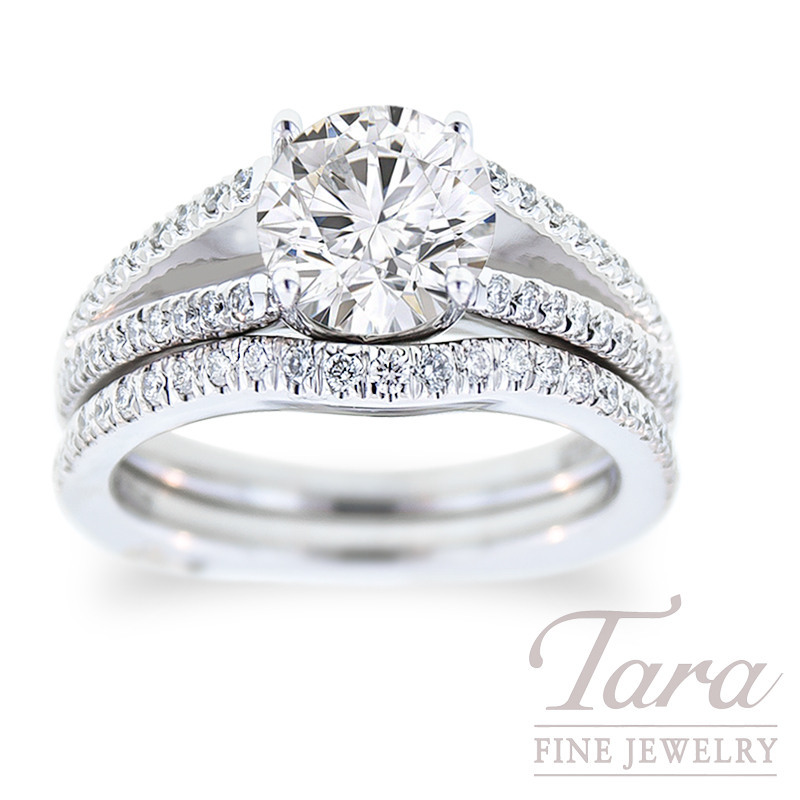 Ask her to marry you with this stunning A. Jaffe engagement ring and wedding band. Crafted in the classic A. Jaffe style of a double diamond band mounting and diamond wedding band, your bride to be will adore the sparkle and shine that this ring set offers! Glorious in 18K white gold, this A. Jaffe mounting dazzles, holding 48 round brilliant diamonds, .34 carats, with matching .21 carat TDW band featuring 31 opulent round diamonds. (Center Stone Sold Separately). Find this elegant A. Jaffe wedding set and a fabulous Forevermark loose diamond at Tara Fine Jewelry Company, Atlanta's distinguished Rolex and Omega dealer.